Ina Garten, aka The Barefoot Contessa, made this recipe for Mel Brooks when he came for dinner one evening. 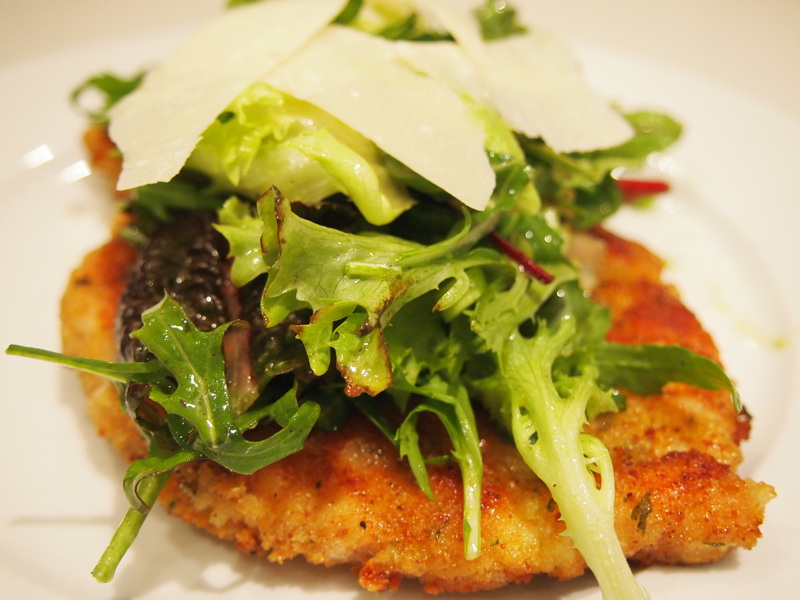 It’s a very simple concept – take a thinly pounded chicken breast, coat it in parmesan and seasoned breadcrumbs, fry and top with a mixed leaf and avocado salad with a tart lemon vinigarette, then cover with shavings of parmesan. How good could it be? Well, Mel loved it and he was right. 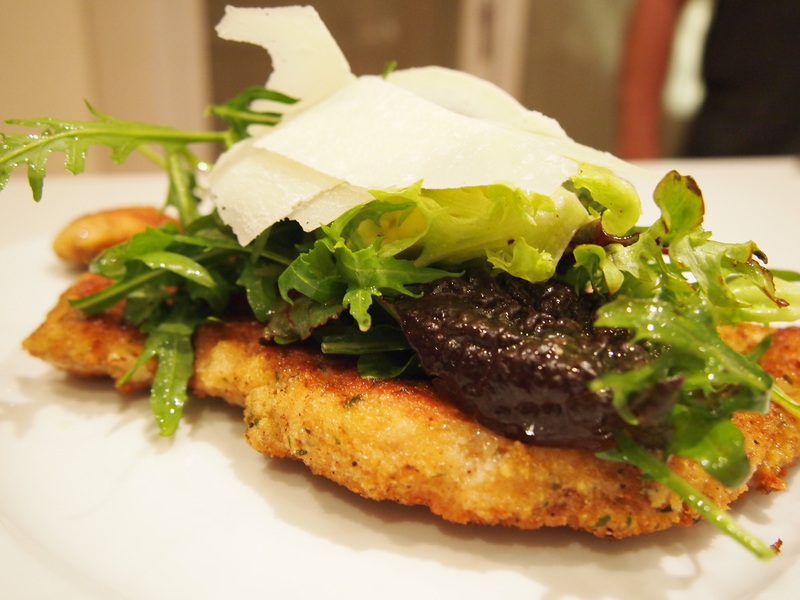 Having the cold, sharp salad on top of the hot crunchy schnitzel is so much better than having a schnitzel with a salad on the side. Combine the flour, salt, and pepper on a dinner plate. On a second plate, beat the eggs with the milk. On a third plate, combine the bread crumbs and 1/2 cup grated Parmesan. 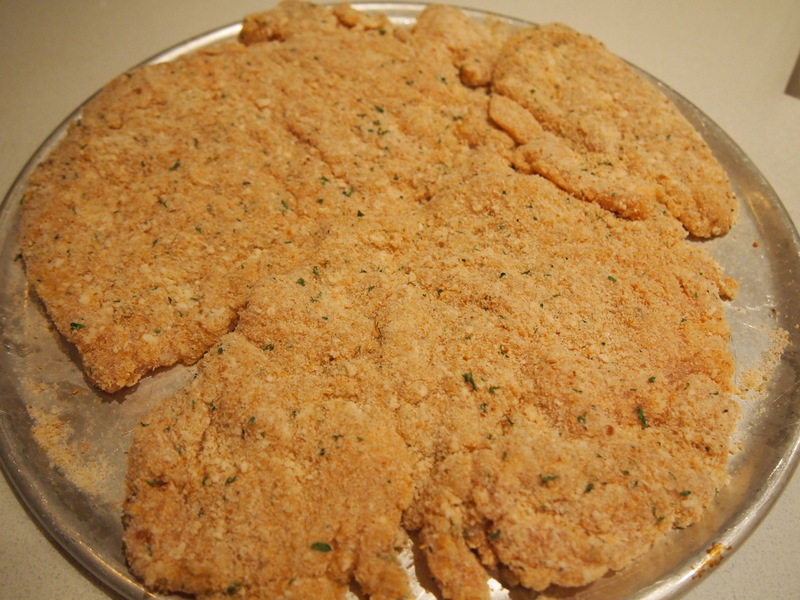 Coat the chicken breasts on both sides with the flour mixture, then dip both sides into the egg mixture and dredge both sides in the bread-crumb mixture, pressing lightly. Heat 1 tablespoon of butter and 1 tablespoon of olive oil in a large saute pan and cook the chicken breasts on medium-low heat for 3 to 4 minutes on each side, until cooked through. You can do these one at a time if your chicken breasts are quite large and keep them warm on a sheet pan in a warm oven. 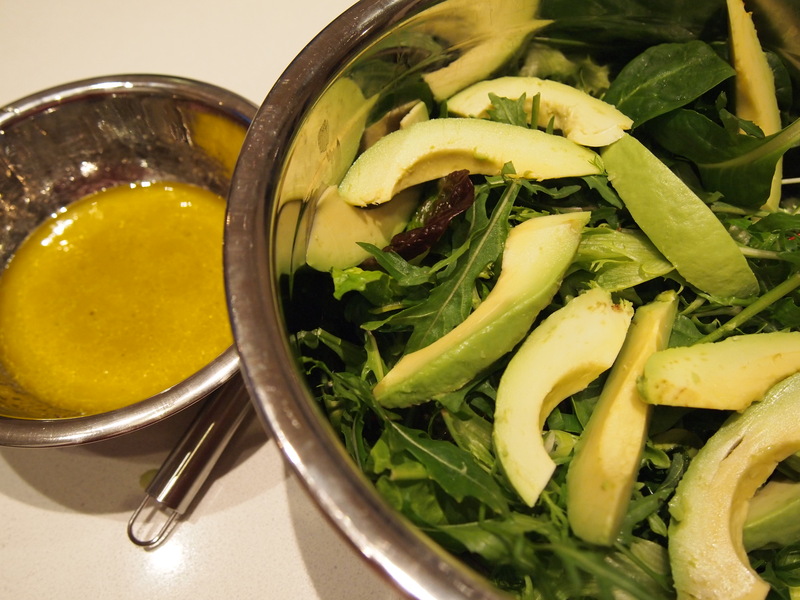 Toss the salad greens and avocado with lemon vinaigrette. 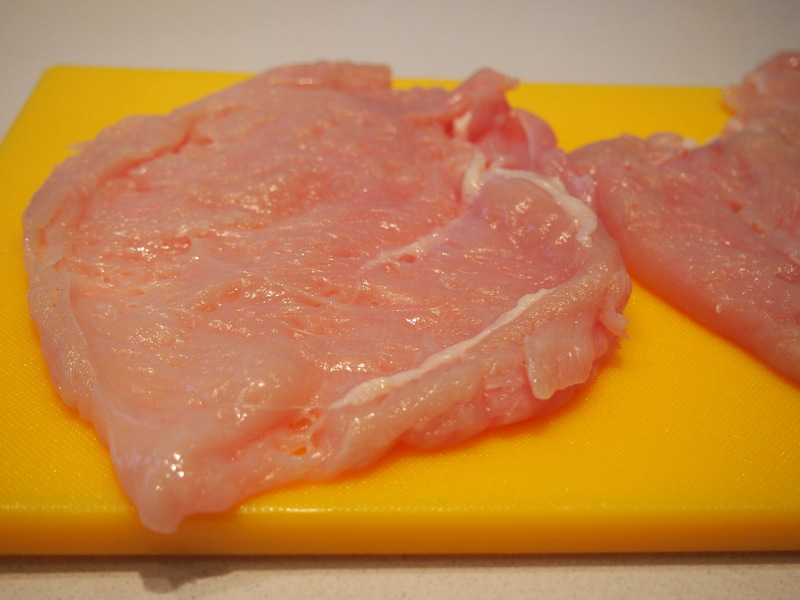 Place a mound of salad on each hot chicken breast. Serve with extra shaved Parmesan on top.